If you have been identified as being at high risk of developing Type 2 diabetes you will be referred to attend the diabetes prevention programme. The programme runs groups which are aimed at delaying the onset of Type 2 diabetes. Run by the Bradford Beating Diabetes (BBD) champions, the groups are informal and friendly, and are usually attended by 10 to 15 people. The sessions focus on how to make lifestyle changes to reduce your risk of developing Type 2 diabetes. The sessions are held at GP practices and community venues throughout Bradford at different times of the day so you can choose which one that is convenient for you. There are also women’s only groups available. The first session will focus on the knowledge and skills that you want to get from attending the prevention programme. The following sessions focus on exercise, healthy eating and developing a healthy lifestyle. You’ll also focus on goal setting for the long term and what to do if you happen to slip up. The champions will also signpost you to local services that can help. Further sessions review your progress and help you keep on top of your goals. Note: the diabetes prevention programme was previously known as the intensive lifestyle change programme (ILCP). 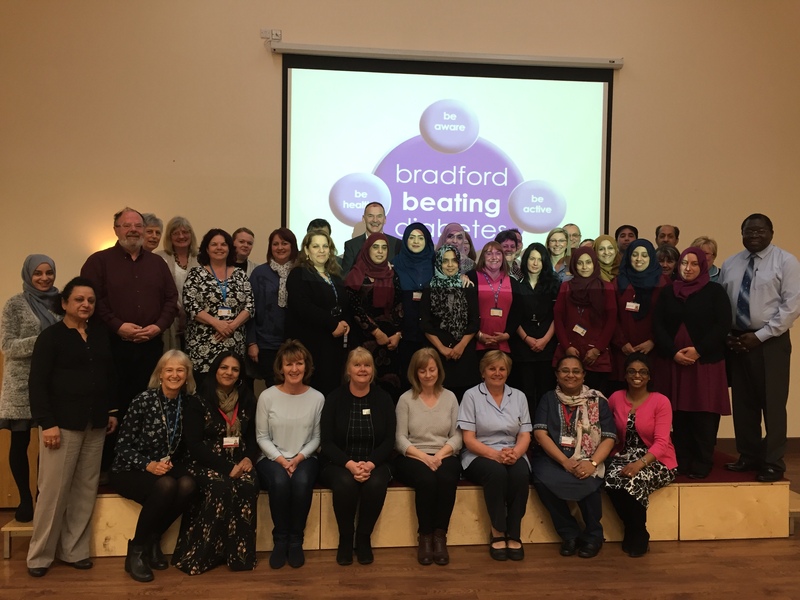 The Bradford Beating Diabetes (BBD) health coaches are people from the local community who are battling to beat diabetes. The coaches are a mixture of volunteers, practice staff and people who have been health champions before. The coaches support and work with people in Bradford who have been identified as being at risk of developing Type 2 diabetes to make lifestyle changes through the diabetes prevention programme. BBD coaches come from a wide range of backgrounds and between them speak multiple languages, including the main South Asian languages. © Copyright 2019 NHS Bradford CCG. Developed and Designed by: Cube Creative.